SAN FRANCISCO—Two titans of the legal world faced off Tuesday before the 9th Circuit Court of Appeals in a case that pits the cell phone industry against the city of Berkeley, California. If the court ends up reversing a lower court’s earlier decision and ruling in favor of CTIA - The Wireless Association, it would overturn a new Berkeley city law that aims to alert cell phone users about possible radiation risks by forcing retailers to post signs in their stores. That law went into effect earlier this year after the cell phone trade group sued to halt it. Earlier this year, a federal judge ruled in favor of the defendants in CTIA v. City of Berkeley, allowing a municipal ordinance to stand, with one small revision. Enlarge / This photo showing the required warning was taken Monday at a cell phone store along Shattuck Avenue in downtown Berkeley. “There’s a reason why Berkeley put the word ‘safety’ in there, it’s to send an alarm,” he said. The defendants countered with former presidential hopeful and rockstar Harvard law professor Lawrence Lessig. The author of Code and Other Laws of Cyberspace, among other books, similarly repeated his own earlier arguments by saying that all that Berkeley does is to make more plain the existing radiation disclosures that are already mandated by the FCC. Specifically, one of the primary ways that radiation from a phone is measured is through something called the Specific Absorption Rate (SAR)—in other words, how fast a given amount of energy is absorbed by the human body, measured in watts per kilogram. Since 1996, the FCC has required that all cell phones sold in the United States not exceed a SAR limit of 1.6 watts per kilogram (W/kg), as averaged over one gram of tissue. On most phones, it’s not at all obvious what the SAR value for a given handset is. On the iPhone 6S Plus—the author’s phone—for instance, the information is buried four menus deep, and even then requires clicking yet another link. 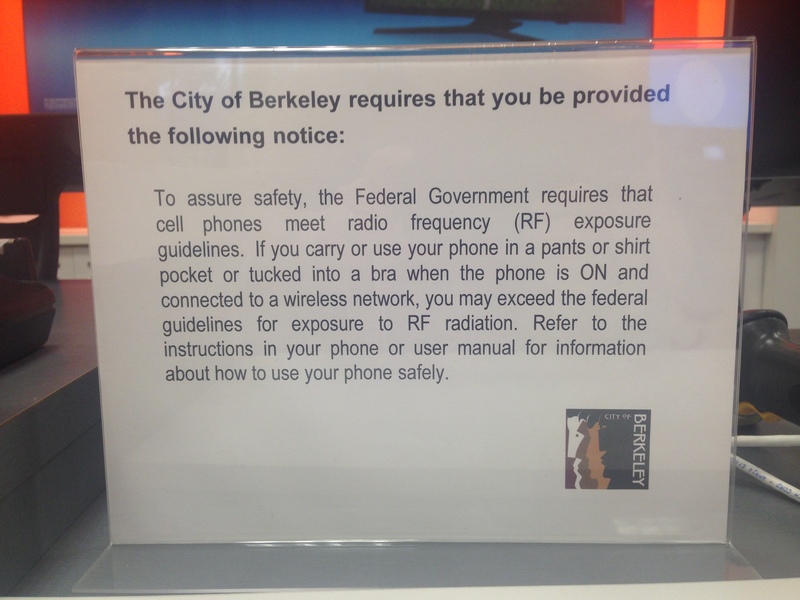 Back in 2010, the city and county of San Francisco passed a similar ordinance that required retailers to provide the SAR value for each display phone and related printed literature as to what that SAR value means. The ordinance, which was signed into law by then-Mayor Gavin Newsom, would have imposed a fine of $500 for each violation. The CTIA sued over that law and eventually prevailed at the 9th Circuit—San Francisco gave up after that. Berkeley’s law is much narrower and less burdensome than San Francisco's. What does “safe” mean, anyway? Enlarge / Larry Lessig spoke with reporters after the 9th Circuit hearing. As Lessig spoke, 9th Circuit Judge William Fletcher seemed to suggest that he found Olson’s arguments persuasive. He also pointed out early on, as Ars noted in May 2016, that a new $25 million, years-long US government study had finally found a clear connection between cell phone radiation and tumors in rats—striking fear in the hearts of gadget lovers worldwide. However, Judge Fletcher did not mention what Ars further reported: that this study was full of red flags and shouldn’t be viewed as fully conclusive. Large and comprehensive works indicate that any potential risks take decades to be felt, and cell phones simply haven't been in use long enough for us to know for sure. The other judges did not obviously indicate how they might be leaning. As Ars also reported previously, it's important to note that there really isn’t any current science to support the need for the warnings Berkeley is mandating. There's no well-described mechanism by which non-ionizing radiation can induce long-term biological changes, although it can cause short-term heating of tissues. There are also no clear indications that wireless hardware creates any health risks in the first place, which raises questions of what, exactly, the city's legislation was supposed to accomplish. Following the conclusion of the hearing, Olson declined to take questions from reporters outside the courthouse. Lessig, for his part, took a few questions. 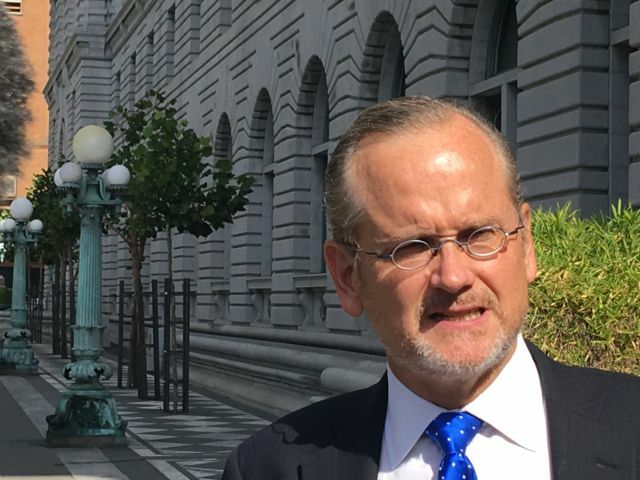 “Our view was that it’s important that jurisdictions have the ability to regulate without requiring a huge factual finding, spending tens or hundreds of thousands of dollars in order to support the regulation,” Lessig said. The court is expected to rule within the coming months.